Concepts of Space and Landscape are deeply rooted in the cultural pulsations of each epoch and civilization. Shifting, they push forward the perceptive limits of the representation of the World and trace evolutionary premises for imagination, discovery and fiction. 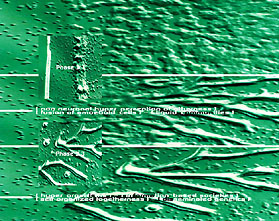 Thus, geometrical perspective, initiated during the Quattrocento, and the whole conceptual construction of space, world and landscape were dissolved into more erratic and unsettled approaches from atmospheric perspective to Turner's incendiary perspective, from non-Euclidean distorsions of topology to curve-lined and inflationary SpaceTimes of quantum fluctuations. The Landscape was urban, suburban, periurban, pastoral, floral, maritime. But these borders were hardly able to prevent the most visionary facets of Human Dwelling from their expansion through psychologically or physically threatening, extreme, hostile or even deadly environments. Abrupt appearances of Monsters, the smiting wrath of Gods, the tremors of Titans and Giants, Goddesses of Love, Oracles, Cosmologies, Volcanoes, immense Landscapes of Violence haunted the antique epics of Myths and Foundations. They were gradually erased from our current landscapes, leaving place for an increasingly narrow, literal and administrative concept of an environment which is slowly losing its plentiful substance and its fertile reactivity. To the survival zones of each Infra_Landscape correspond a particular form of perception of Time and Space, an infra_ordinary form of Living Communities aggregated around symbiotic or adaptive parameters. The outcrop of such extreme landscapes in our everyday life takes place permanently. It is, however, only under the framework or even the threat of recent technological interfaces that we become aware of them. 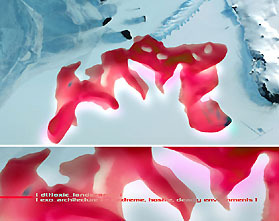 To surpass the topological breaks induced by the Landscapes of RealTime, the contamined metabolites, the poisoned artifacts, the ethical failures of Cyberspace, Virtual or Biotechnological Environments, requires a reappropriation of the paradigmatic bases of what can be named Perception, Space, Urbanity, Landscape, Society, Humanity or even Civilization. A night flight over the Planet, eyes shut, perceptions awakening, multi-sensory landscapes invade the dense space of the present, feelings growing from peaceful stirrings to more devastating agitation. Here, the naked silence of a spangled desert, there, the tear-soaked cry of a child who awakes, there, from a fringe of pebble, the foamy lapping of a sleeping ocean, further away, the fresh and powdery whiteness of the snow-covered lands or the hot and fragrant moisture of the rice plantations. Still further away or still closer, the dull torpor of the dormitory-town, the blood-covered moans of wars and exactions, the heavy breath of famine, the deafening siren of an incident which rends the gleams of night. From these fluctuating and chaotic coexistences derive the complex parameters of an unstable milieu which pervades the human dwelling with an under-explored landscape, in the breadth of its diversity, a landscape of Planetary Metabolisms, and issues of Civilization. There was a time when the ostentatious domestication of geographical landscapes and the conquest of new territories emphasized the cultural power of Empires. Some reminiscences of these archaic figures still haunt the arrogance of the vertical building concentrations which punctuate the monotonous tissues of Endlesscities, and continue the mass destruction of what still remains of inviolate and left over space, of unexplored borders. The landscapes of future conquests, those of biological, genetic, cybernetic or urban mutations, ask the same co-evolutionary questions of an increasingly virulent and reciprocal contamination between human civilizations, other communities of living organisms and their respective environments. If human societies venture to tame their technological or geographical environments, in order to obtain a more stable and reassuring milieu ­ in other words a Landscape ­ it means that in their turn they were threatened, aggressed or defied by these environments. The term Landscape represents only one phase of respite within an unequal and multimillenary struggle. Our blood is salty, because we are mere drops of sea water enveloped in a membrane. At the dawn of our first cellular stirrings a few billion years ago, we were made of the same substance as the liquid landscape surrounding us. 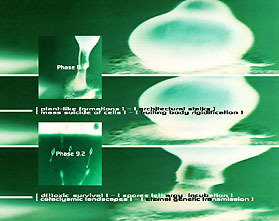 If the aqueous and oceanic sphere is now replaced by the Infosphere, if the hereditary determination of blood is now replaced by the chaotic indetermination of microbiological particles and genetic pieces of information, the evolutionary sterility of this new milieu which does not incorporate others, offers matter for reflection. The articulation of Worlds and Landscapes still remains an underexplored Ethical issue. Cyber_urbanization, first justified by military or strategic imperatives, hardly escapes from the archaic figures of self-proclaimed powers, characteristic of martial and self-reproducing societies. PLATO, philosopher of the Mixture (even a forced one! in Timaeus) denounced the eugenic and endogenous ideal society of Atlantis in Critias. This ironic, political text on Dystopia is wrongly considered as a legend of Utopia. 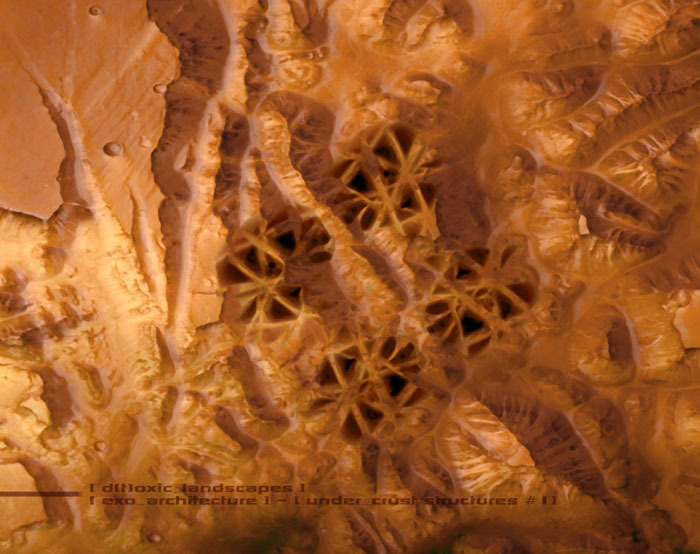 Hegemonic will as a unique target is derisory where the multiplication of points of view fractalize up to the dissolution of any event through the exponential expansion of the RealTime Landscape. The Mass Media Landscape and the residue of Language Landscape which still remains in it, belong as well to the last spaces under threat of extinction, which are structured by a factitious perspective. The Virtual Landscape in its turn, orphan of an identified topology, in its ethical failure, is still incapable of facing the "perspective distortions of the RealTime" described by Paul VIRILIO. Following the intensity of unintentional structures, the Heterogeneous and the Dissonant conceptions of landscape, now triumph over any others, and, maintained as such, take part in the survival of adaptive microclimates that the great city and territorial planning gave up for dead. The factors of disaggregation of Realcities are balanced by factors of aggregation pulsing in new virtual territories. Financecities, Criminalcities, Nazicities and Sordidcities powerfully metastase their clones and avatars of the landscape in the most disparate areas of the Infosphere; but what about fragile Slumcities and Homelesscities ? Tangled up within the unfinished phases of a cyber_urbanization where rule and urbanity are still missing, the future coherence of the Human Dwelling through these Amorphous Transitions remains uncertain. The ancient Greek word doxa refers to a commonplace level of knowledge as opposed to the episteme, or even the logos, the knowledge of wisdom, science and philosophy. The doxa extends from murmurs to devastating rumors, from phatic exchanges to murderous words, from unrooted beliefs to popular fantasies, from individual agitations to social turbulence able to set whole societies ablaze. It comprises its own toxic poison in its doxic distortions. 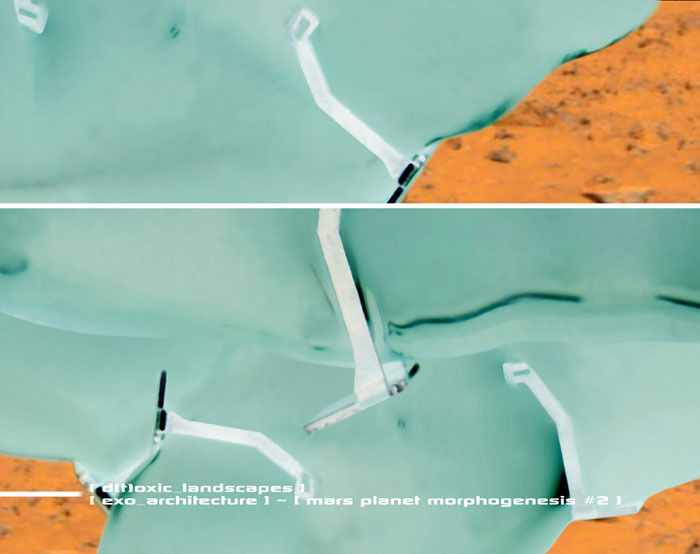 Inaddressments, contaminations, unfocussed and unintentional propagations, as rumors infiltrating the successive envelopes of a vague logic of landscape, define a dynamic which may nourish new issues of technology and uninvestigated paradigm shifts. An organic physics of the doxa, initiated by Anne CAUQUELIN is expanding in the generic wake of ARISTOTLE'S Phusis, almost against him. This doxic logic, this informal form of the self-organization of information, scorned and maltreated by philosophers, is insidiously gridding the texture of our disordered and chaotic Infosphere which hosts more and more unspecified, scattered, atomized individualities. The undifferentiated proximity in our cultural environments between the scientific and the banal, the major event and the unspecified one, reasoned opinion and commonplace belief, Aletheia (the Unveiling of Reality) and Doxa (the Opinion of Mortals) in the unifying element of Sameness, signals a return to the asymptotic limit of language envisaged by PARMENIDES. The Landscape of Words thus defined is at the same time Fire and Storm, Thunder and Lightning, a Dwelling place of extreme dissonances, just as the founding thought of HERACLITUS approached the Logos. It is also the Japanese "Koto Ba": "petals of flowers issuing from a bringing to the self" as HEIDEGGER stated in On the Way to Language (Unterwegs zur Sprache). The imprecision of the subject as a function, the symbiotic fusion of the ontological question of Being with the question of Language as a Landscape reactivates ancient links extended through the history of human thought, opening up many pathways of research, going far beyond primitive levels of technolatry. A Topology of Mixity is then initiated as a means of thinking about interdependencies, reciprocal interactions between the still-unlinked layers of our Planetary Dwelling: Cybercities, Megacities, Slumcities and Homelesscities. The fusional landscape of the imminent d(t)oxicity of the Infosphere which surrounds us stems from this same intrinsic impossibility of a logical differentiation between information (language), actor (subject) and milieu (network). The indecidability of this symbiotic equation is properly the d(t)oxic parameter of this landscape. 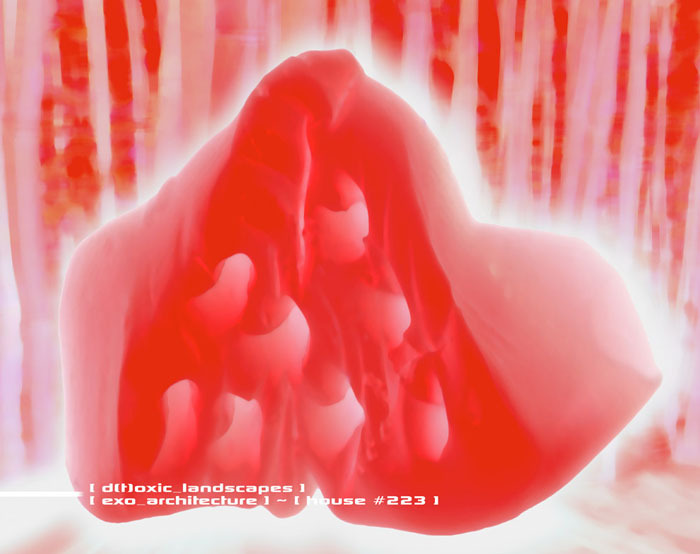 The Landscapes derived from the cyber_urbanization of the Infosphere engage a reflection upon the topological polarizations around virtual nodal points catalyzing the accretion of isolated individualities into virtual communities. The agglomeration issued from sublunary urbanity yields place to fluid aggregations and disaggregations in RealTime. The individual body, and similarly the social body, is weakened, atomized, dissolved in a Virtual Landscape which catalyzes the constitution of hyper_bodies with disseminated genetics. 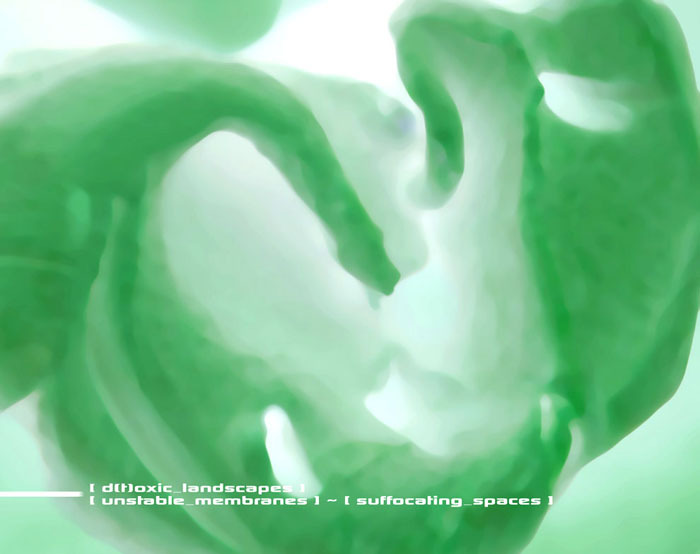 Meta_organisms and hyper_organisms, mixtures of social pulsations on planetary scales and density fluctuations of d(t)oxic propagations, remain the only metabolisms able to resist to the instability and the unreliability of a world whose Laws remain incomplete. 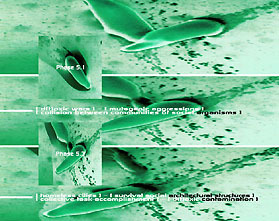 The survival of cyber_organisms evolving in the Virtual Landscapes of the Infosphere depends thus on the development of more advanced factors of aggregation than simple communicative exchange. 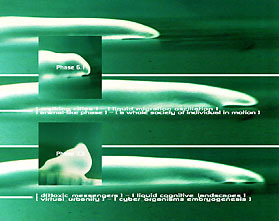 The narrow programmatic limits of binary algorithms evolve to give way to the premises of propagation and the constitution of information in the Landscapes of the RealTime extended to the parameters of an artificial, social or collective intelligence which can face the massive, non-centralized and non-neuronal phenomena characterizing the planetary mutations in progress. 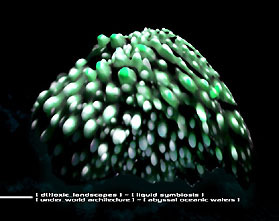 On the frontiers of biological taxonomies, between the states of animal and vegetable, unicellular and multicellular, intelligence and program, hyper_organisms already exist in some communities of bacteria which develop advanced fields of information-interference inside their societies and also in direction of the surrounding landscape and other individual or social organisms. Human civilization has only surrounded itself with an Infosphere since the 1950s, while other societies of living organisms, based on an information environment have, in some cases, million years of evolutionary experience of mastering this milieu which is still new to us. These non-neuronal communities achieve complex hyper_social or meta_urban tasks in the micro-landscapes of information (micro-infospheres) handling a d(t)oxic language, based on chemical compounds. At a very low dose these are messengers, and at higher concentrations biological weapons, antibiotics, which are used against other competing micro-organisms. No intentional directing of information, but, as in cyberspace, there remain only deposits, propagation and d(t)oxic contamination. In the family of such hyper_bodies, the myxomycetes are unicellular micro-organisms which, in normal time, evolve separately in a free and independent way among the fractal micro-landscapes of stagnant soils. 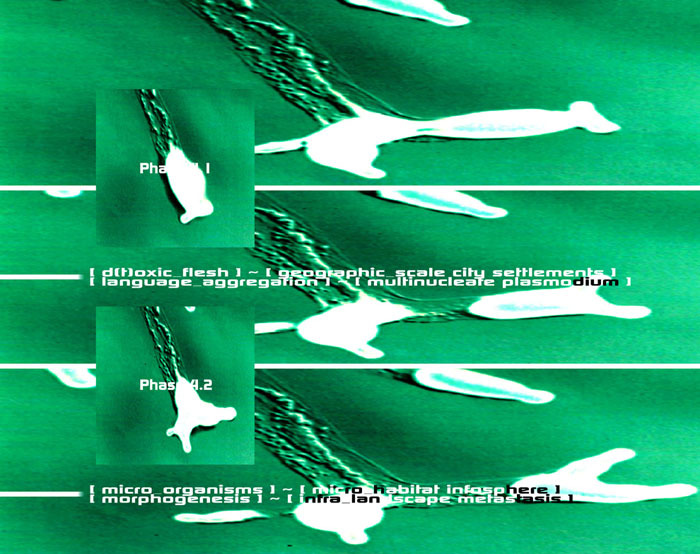 However, when some of the individuals of the community encounter more adverse living conditions or a situation of crisis, lack of water or food, a distress signal is emitted using d(t)oxic chemical messengers which are propagated in their environment and form a liquid cognitive landscape of information. The distress signal emitted is transformed into a factor of aggregation if its concentration is significant. In a very short time, thousands of unicellular organisms come together, converging with a quasi-spiral movement, forming a social hyper_metabolism in the shape of gelatinous drops. 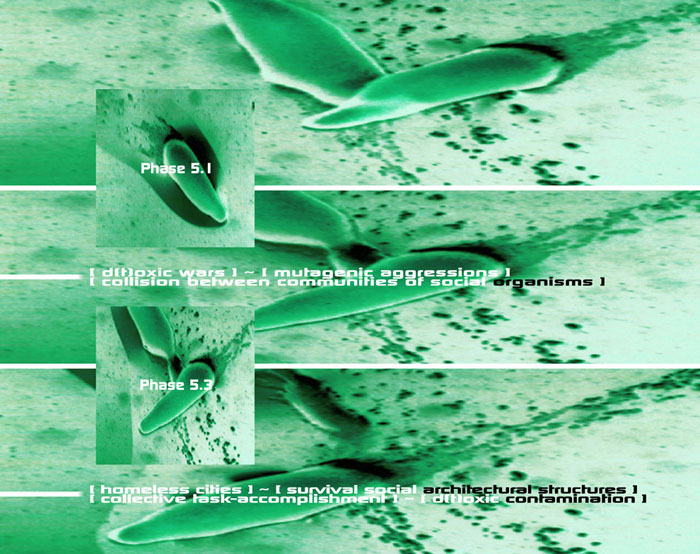 Cellular fusions give rise to a multicellular pseudoplasmodium or "slug" capable of movement by oscillation. City-organisms in migration search for better sites to colonize. 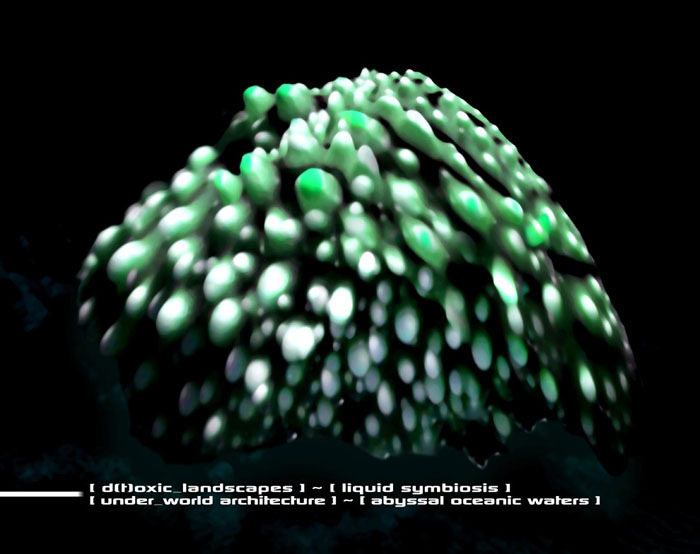 On the threshold of new landscapes, the animal-like hyper_organisms are stabilized and metamorphosed in a multitude of plant-like formations, growing like mushrooms. Stalks are formed by a massive suicide of a great number of cells rigidifying into small vertical structures which gradually move away from the ground. These micro-skyscrapers are topped with spherical domes filled with spores. These quasi-eternal cells living in lethargy will be disseminated through the vastness of space and time. Once optimal conditions are restored, they will germinate, giving rise to other cellular communities. 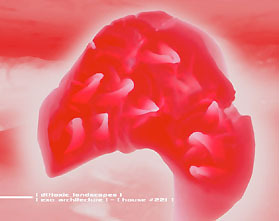 The hyper_organisms require a non-neuronal form of organization and social intelligence. A non-neuronal hyper_perception of a forgotten sense of urbanity is at stake here: togetherness, which, even in human societies demands a political aim worth fighting for, as a factor of aggregation. 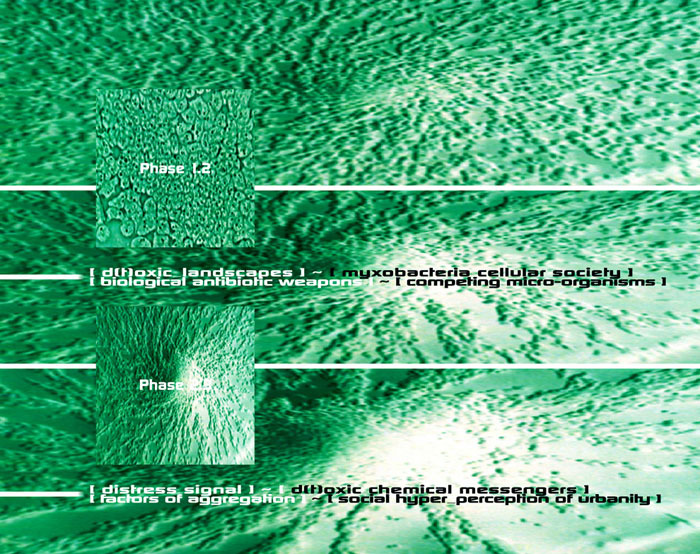 The doxic forms of social landscapes thus have non-neuronal properties, where the origin of the catalyzing signals remain unspecified, where only detectable waste, residues, metabolites of the processes of propagation and contamination are left. Faced with such innovative d(t)oxic landscapes of information, the neuronal illusion of a "planetary brain" developed in cyber-theories appears conceptually weak. The factors of aggregation, disaggregation and migration structuring the architecture of d(t)oxic metabolites, unlock evolutive processes close to embryogenesis. The inductors disseminated in a Landscape of Information, in an amniotic or symbiotic environment, inform the isolated individuals about the state of the whole community. 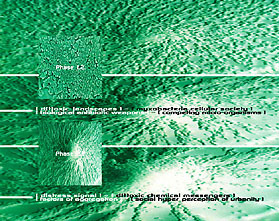 They allow the perception of relative positions between the self and others, an awareness of alterity and the recognition of interdependencies or invasive belligerencies, while, in human environments, all positional references are more and more blurred in favor of a sightless timeless and somehow rootless flux of information. These issues of the Social Corpus and non-centralized hyper_perception of togetherness are determinant phenomena in embryogenesis and enigmatic steps in task-accomplishment by cellular societies. In many cases, concentrations of chemical, genetic or informational messengers induce the synopses of future differentiation and organization toward which the Virtual Communities or the Cellular Clusters will tend. The quantity of information necessary for the emergence of a social organism or a virtual hyper_organism exceeds by far that contained in a programmatic or biological genome. In a normal state, the cellular units and similarly the data units are predetermined to reproduce identical other sets of units, except for the case of error or pathogenic mutation. What is the source of these pluralities of tissues or histologies? 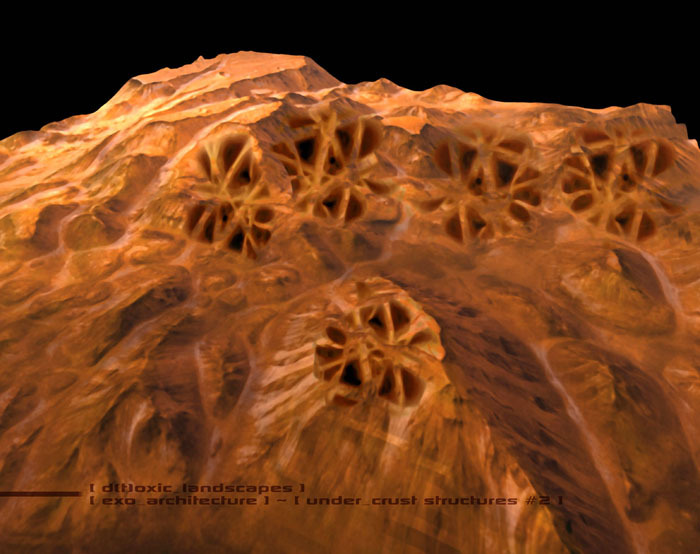 The break in symmetry which marks the Transition from an undifferentiated and self-reproducing Landscape, to a differentiated Landscape with varying tissularity, requires not only Generic processes, used for modeling functional elements, but also Genetic processes, in the shape of a higher-scale Morphogenesis determining articulations, relative positioning and interactions between the innumerable components emerging from a multiplicity of differentiations. Some parameters of Liquid Landscapes of Information thus exceed the codal limits of their programming genome. Beginning with the same stem cells, they induce not only a differentiation as divergent as the nervous cells compared to the osseous cells, but also command trajectories, lengths of lives, new migrations for future perceptive or sensory germinations. We are stepping forth into Amorphous Transitions characterised by a degree of complexity that no programmable nor encompassable set of algorithms could structure. 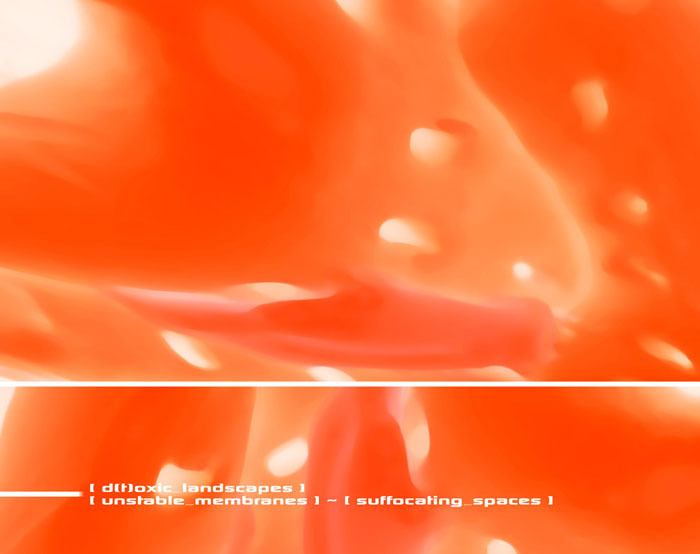 Cascades of micro-information amplify their coding power by d(t)oxic contamination of a Landscape saturated by messengers which, like the formation of sentences from words and the formation of hypertexts from texts, develop limitless sequences of instructions. The equivalent of such d(t)oxic phenomena of Landscape in the emergence of cyber_organisms or meta_organisms of future Urbanities, could rather be found in the vicinity of unapparent Morphogeneses where contaminations, symbioses or collisions between different communities of living organisms, intervene, developing unforeseen, adaptive, co-evolutive or extreme d(t)oxic languages. Innumerable colonies of extremophile bacteria dot the buried landscapes located several kilometers deep in the Earth's crust. They are properly cities with social dynamics of migration, advanced energy technologies, evolutive architectures of growth, a crafting of pigments densely colored to such an extent they are coveted by humans for industrial exploitation. A few million years ago, these bacterial colonies lived on the surface of the Planet. The oceans gradually covered them, there was sedimentation, continental drift, massive movement of plate tectonics. Since then, these colonies cut off from the civilization of solar energy, have lived in a state of total isolation, in a compressed habitat subjected to constantly increasing heat and pressure. They have adapted to the critical conditions of cataclysmic landscapes. 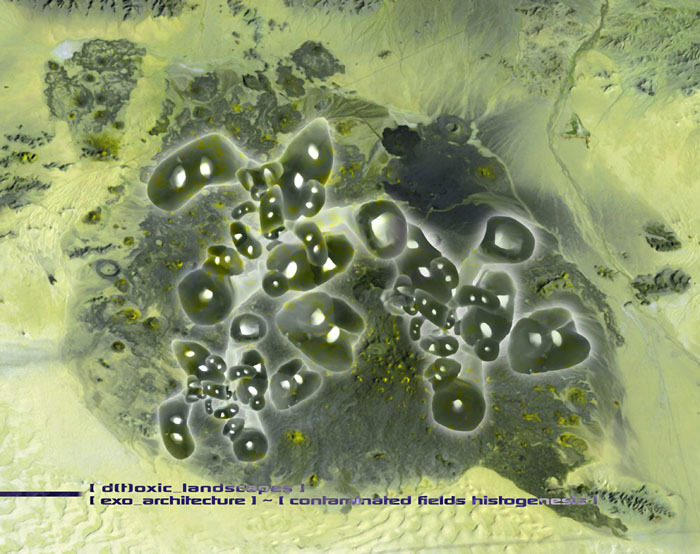 These d(t)oxic premises induced by extreme worlds may relativize our concepts of Landscape, Time, Community or Urbanity. A paradigm shift is then necessary in order to assimilate these unknown boundaries with still unveiled limits, temporalities, scales and magnitudes. Beyond binary logics, artificial intelligence or cybernetic fantasies, both the planetary-scale and the infra_perceptible phenomena inherent to our future technological environments require a d(t)toxic reflection leading to genetic and generic rather than informational architectures, to cognitive rather than algorithmic processes. The hyper_organic social landscapes, issued from adaptive micro-activities of living communities in all their diversity, open up promising pathways of research as regards a renewal of perceptive and sensorial paradigms: the hyper_perception of a forgotten togetherness - the origin of all senses of Humanity and Urbanity, Real, Actual or Virtual. 1- John Tyler Bonner, "Chemical Signals of Social Amoebae," Scientific American, 248, April 1983, 106-112. 2- Richard Losick & Dale Kaiser. "La communication des bactéries". Pour La Science (French edition of Scientific American), 234, April 1997. 3- James Fredrickson & Tullis Onstott. Les micro-organismes de l'intérieur du globe". Pour La Science, 230, December 1996. 4- "Extremophiles". Microbiology Reviews, Vol. 18, 2-3; May 1996, special issue of the Federation of European Microbiological Societies. 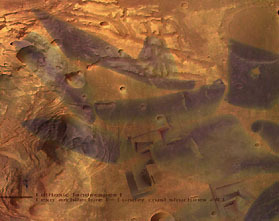 5- Anne Cauquelin: L'Invention du Paysage, Éditions Plon, 1989. 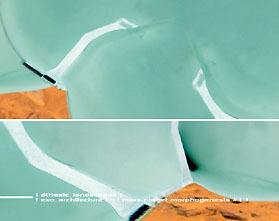 "Paysage et Environs, une logique du vague", Revue Critique, 577/578, June-July 1995. "Cinévilles", Éditions 10/18, 1979. 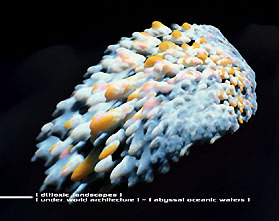 6- Paul Virilio: Un Paysage d'Événements, Editions Galilée, 1996. 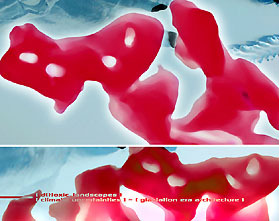 La Vitesse de Libération, Éditions Galilée, 1995. 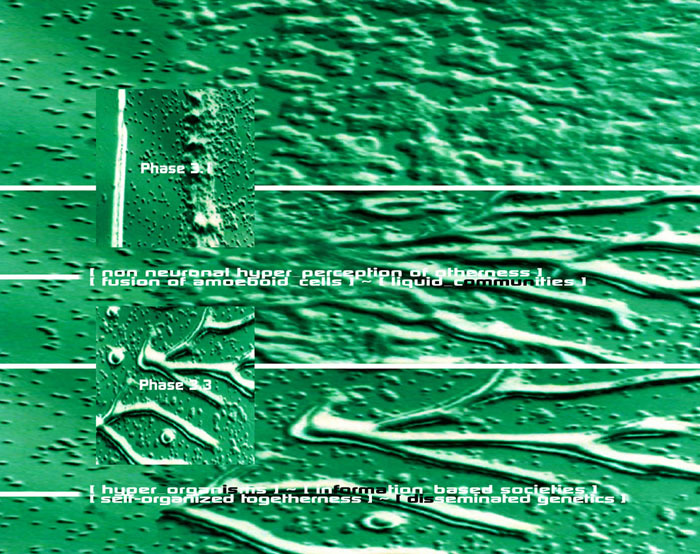 Cybermonde - la Politique du Pire, Éditions Textuel, 1996. 7- Adrien Sina: "Transitions Amorphes - Virtuellevilles, Mégavilles, Bidonvilles", Inter Art Actuel, 68, Summer 1997. "Virtual Urbanity - the Continuum Body-World in Real Time", Discussions with Paul Virilio, Inter Art Actuel, 66, Québec, July 1996. "1- [ tissues of an urban democracy: matrix of a planetary ethics ] . 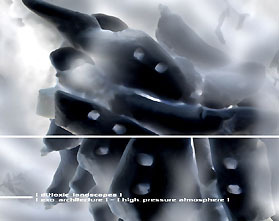 2- [ amorphous transitions: cybercities, megacities, homelesscities ], 5- [ d(t)oxic_landscapes ]", Atlantica, 23, Barcelona-Girona, August 1999. "The Genetic Accident", Dialogue with Paul Virilio, Resistencias, exhibition catalogue, Koldo Mitxelena Kulturunea, San Sebastian, June 2000. 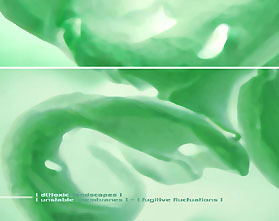 First published in La Mazarine, n° 12, "Tragédies Charnelles", Paris, March 2000.